6n2 window not working, motor buzzes tho? passenger side window not working, motor buzzes when switch is pressed, i know its common and i used the search to see if anyone else had had it, i take it that i just need a new regulator? Polo 9N3 - 1.2 only giving 200-230 miles on a full tank - causes? Hi, apologies if I post this in the wrong area as I am still fairly new here! 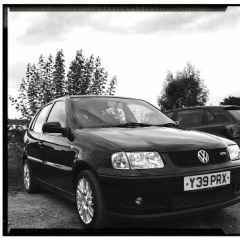 I have a 1.2 57 Plate VW Polo which has done just over 25,000 miles. Its fuel consumption has been annoying me for some time and I only now have the time to deal with it. Full tank on it won't give me any more than 230ish miles which for a 1.2 seems pretty low? I've seen forums with people complaining that they only get 300+ miles out of it. Tank is 42 litres and costs around £50 to fill it up in Glasgow. I've tried driving like a granny and it has absolutely no effect whatsoever, gives the same miles as me having foot to the floor 24/7. Car doesnt even carry about excess weight, took the spare wheel out aswell (whether it could have made a difference I don't know). I agree that in city driving/start-stop mpg would be low but this low? Anyone have any ideas as to what could be causing this? I read somewhere that with 1.2's the lamda sensor seemed to be a common problem? Any thoughts on this would be much appreciated. Thanks.